There are numerous consideration while choosing an Indoor sign. 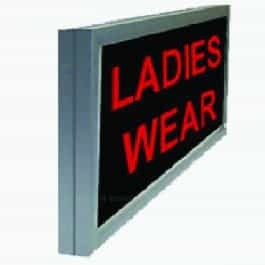 Various factors like the applications viewing distances source of light ease of interchangeability choice of material plays a critical role in choosing the right indoor sign. 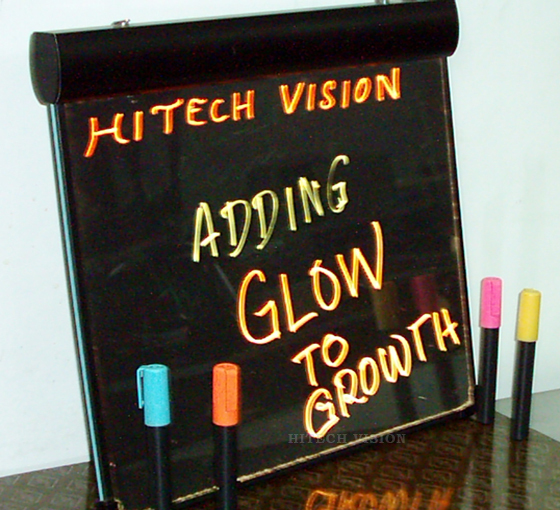 Hitech Vision has the range of products to offer for different applications. 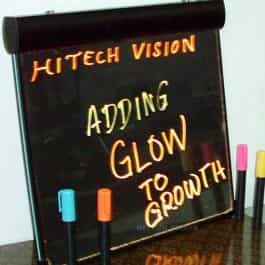 We have the capability to offer the right signs, the right specs, the right look to match your interiors.Hitech Vision offers for the following for Indoor displays. 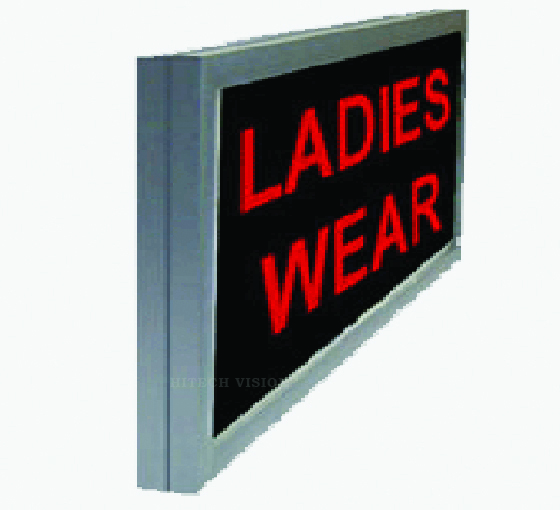 The View box are generally used for menu board, Mall signs, Showroom signs, Exhibitions etc., The sign is made of 7cm thick aluminium extrusions. It is coming in both front loading as well as hatch open options for changing the posters conveniently with out removing the entire board. View boxes are offered both with regular tubes as well as LED’s. One of the most used backlit panels. 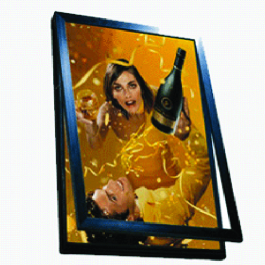 It is made in Aluminium edge lit technology to give the image even brightness. The image can be easily be loaded from front ideally suited to handle frequent image changes. 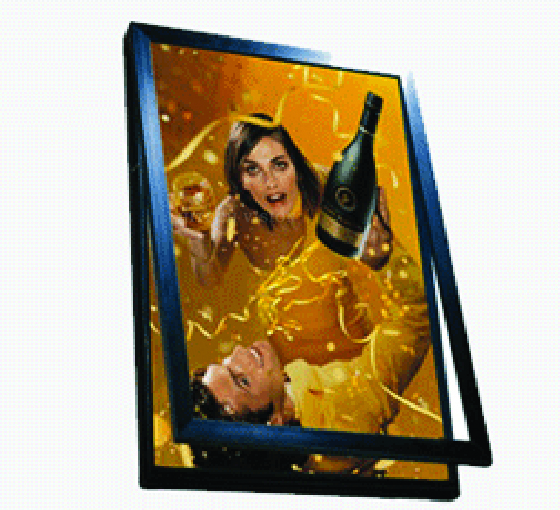 Due to new design the edge lit panel has crossed the barrier of size in to a larger display panel. Could be hung on a wall vertically or horizontally or placed on a stand available in a 3ft x 6ft. Ultra lite is a slim elegant looking signage that has an international look. It is a combination of Aluminium extrusions and acrylic with magnetic holders. Translie media is the best media for this product and you can change the image easily imported LED with higher lumen makes it bright and attractive. Available size 2.5ft x 4ft max.